The EBRD’s FINTECC (Finance and Technology Transfer Centre for Climate Change) programme is part of a global drive towards climate technology transfer for developing countries and countries in transition. The programme helps companies in participating EBRD countries to implement ‘climate technologies’. These include technologies for energy efficiency, renewable energy, water efficiency and materials efficiency.Climate technologies reduce greenhouse gas emissions, and/or lead to increased climate resilience. We offer incentive grants for introducing eligible technologies, which are available as a complement to EBRD financing. We also organise technical support, provided by the EBRD and international consultants. To assist climate technology transfer within each region, we offer support to participating governments. We help them to improve policy environments and legislative frameworks, further enabling organisations in their regions to adopt a wide range of climate technologies. Learn more about our wider goals in relation to climate technology transfer, and those of the global community, here. including systems for CO2 recovery, heat recovery, energy storage, buildings insulation, photovoltaic panels, LED lighting, tri-generation and Energy Management Systems. For more information please see our case studies. Importantly, our work is not limited to financial and technical support. We take a holistic approach, collaborating with governments and other stakeholders, to create a wider enabling environment for the deployment of climate technologies. FINTECC helps develop policies as well as providing data, intelligence, market studies and innovation support. Crucially, we also build networks, so that communities can continue supporting climate technologies in the long-term. Although we work with a broad range of climate technologies, our incentive grants focus on those with low market penetration in participating countries. We aim to support organisations who adopt these technologies first, as a way of demonstrating their value to the wider community. Each success story is shared through our networks, helping to break down market barriers and create new, long-term markets for the technologies. FINTECC is funded by the EBRD and the Global Environment Facility (GEF). 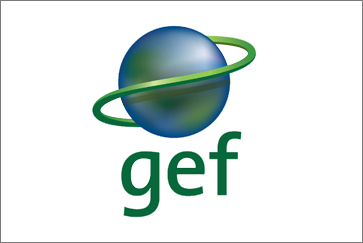 The GEF provides grants for climate technology projects, acting as a partnership between 183 countries, international institutions, non-governmental organisations and the private sector. As one of the Facility’s implementing agencies, the EBRD receives project-specific technical assistance, project preparation grants and grant co-financing. These are applied in two key areas, namely water and climate change mitigation and adaptation. As well as financial support, FINTECC also organises technical audits.